Hopefully, by the end of this article, you will have made a sound decision regarding which chopsticks you should get. Before we get into the best chopsticks you will be able to find online, let us first dive into the different types of chopsticks today. If you thought all chopsticks are the same, you are mistaken. There are actually three different types of chopsticks that you will be able to find in the market today. Most Chinese chopsticks are made out of wood and come with a square body and a blunt square tip. Perhaps the main difference Chinese chopsticks have from the Korean and Japanese ones is the fact that they are actually a couple inches longer and don’t have tapered tips. The Japanese have created several types of chopsticks for different uses. Today, there are plenty of Japanese chopstick designs available for cooking, eating, sweets, and even for use in funerals. Japanese chopsticks are so diversified, you can find some made out of wood, plastic, metal, bone, and even expensive ivory. What distinguishes Japanese chopsticks from other types listed in this article is that they fall at a medium length. They are shorter than Chinese chopsticks yet longer than Korean ones. Another thing that distinguishes Japanese chopsticks from the rest is their colorful and intricate designs. You can even find Japanese chopsticks today with cherry blossom tree paintings. The last type of chopsticks you will find in the market today are the Korean ones. Unlike Japanese and Chinese chopsticks that are usually made of all-natural materials, Korean chopsticks tend to be made of metal or steel. To compensate for the metal’s slippery finish, Korean chopsticks come with small textured ends to make picking up foods such as rice and vegetables a lot easier. Another factor that distinguishes Korean chopsticks from Japanese and Chinese ones are their short lengths. Chopsticks can be made out of all sorts of materials including wood, plastic, steel, bone, and ivory. Perhaps the most common type you will find on the market today are the wooden and steel ones. Do not get fooled into thinking that the material chopsticks are made with are purely for aesthetics. 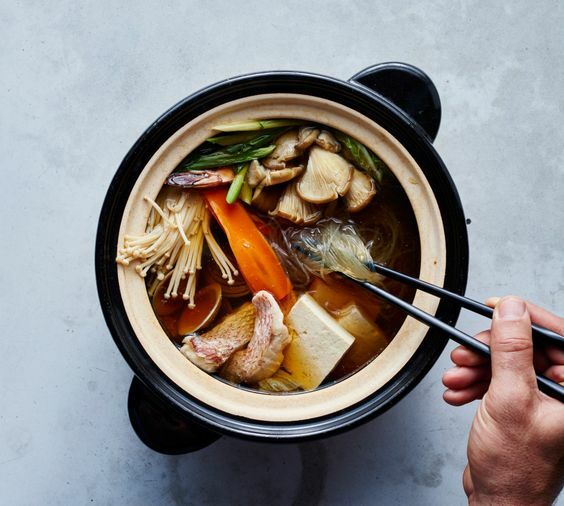 The material can actually significantly affect how you use your chopsticks. Wooden chopsticks for one, tend to be easier to use since they are very easy to grip because of their non-slippery finish. This material is the easiest to use when picking up slippery pieces of food like noodles. However, some wooden chopsticks can be porous and quite difficult to clean. Metal chopsticks, on the other hand, are truly more durable and easier to clean. But they are not the best choice for beginners since they can be a bit slippery. 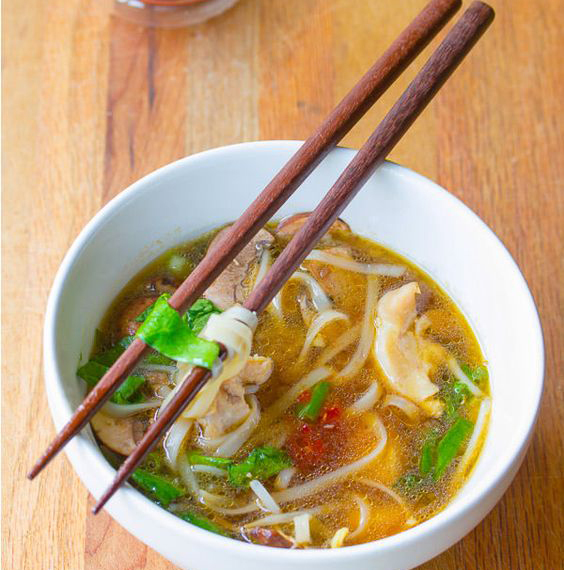 Eating foods that tend to be slippery such as those soaked in soups and noodles can be more challenging. As for plastic chopsticks, you will find that they are the lightest to use. They are also very easy to clean just like one that is made out of metal. Perhaps the only downside to plastic chopsticks is that they are not ideal for cooking since they can warp when exposed to extreme heat. The next thing you have to consider when buying chopsticks is the shape. 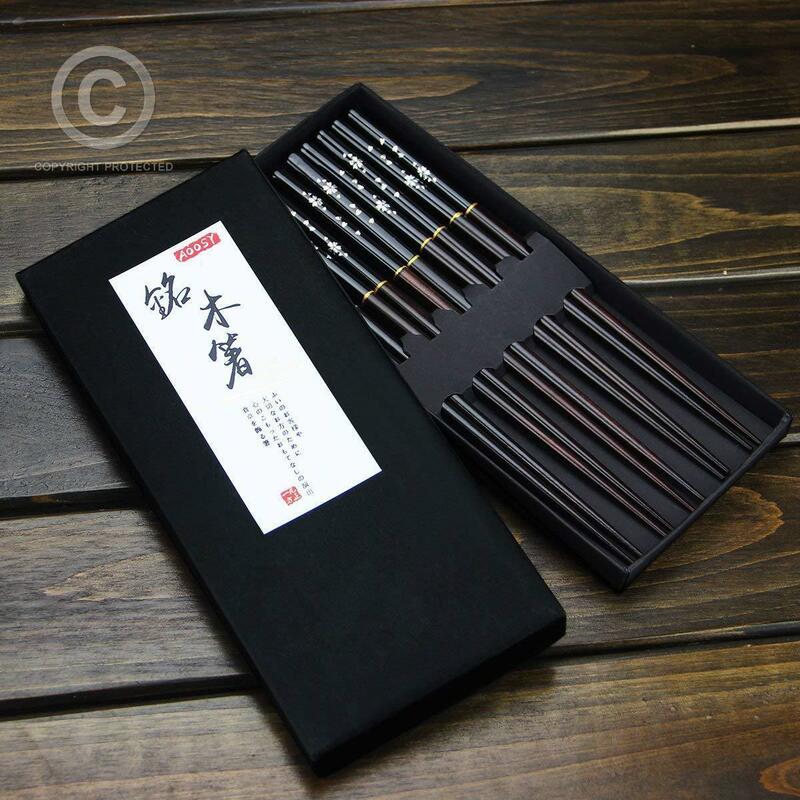 Today, you will be able to find chopsticks with tapered or blunted tips and square or rounded bodies. 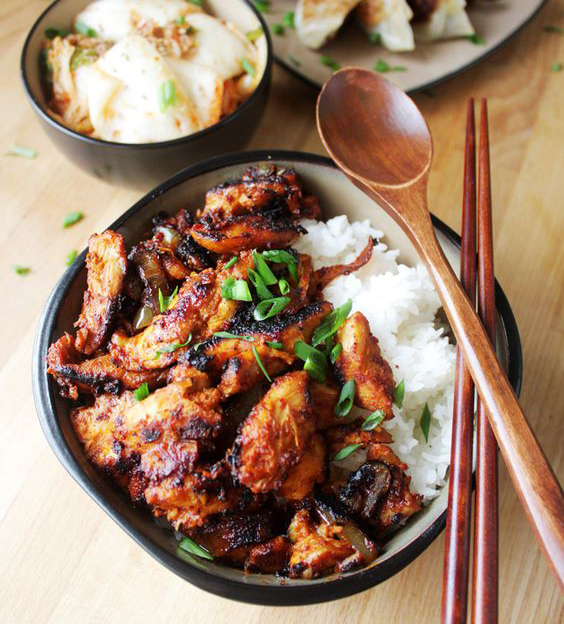 If you plan on using chopsticks to pick out the smallest pieces of food, you will do best with one that comes with tapered tips. However, if you plan to use your chopsticks for picking up meat and vegetables, the best choice would be ones that come with a blunted tip for more stability. As for the body shape, one thing that you have to keep in mind is the squarer the chopstick is, the easier you will be able to grip it. If you are new to using chopsticks, I suggest getting square ones since rounded ones tend to slip off the fingers easily when used. If you haven’t used chopsticks before, or if you are trying to teach a child to use chopsticks, perhaps the best choice for you are ones that come like a pair of tweezers. Training chopsticks make it almost impossible for you to drop the food you are picking up. They often come as a single piece that has one closed end. Some chopsticks you will find on the market today will come with extra stuff such as a case, a holder, or a base. If you plan on using your chopsticks outdoors, I suggest you get one that comes with a fine case to keep your chopsticks safe and clean when you store it in your bag. You may also want to get chopsticks that come with a base if you plan on using your chopsticks in your home or if you plan to give it as a gift. The base helps keep the chopsticks tips clean when you decide to put your chopsticks down for a while during eating. Now that you are well aware of the different types of chopsticks you can find in the market today, it’s time to dive into the best chopsticks you will be able to buy online. 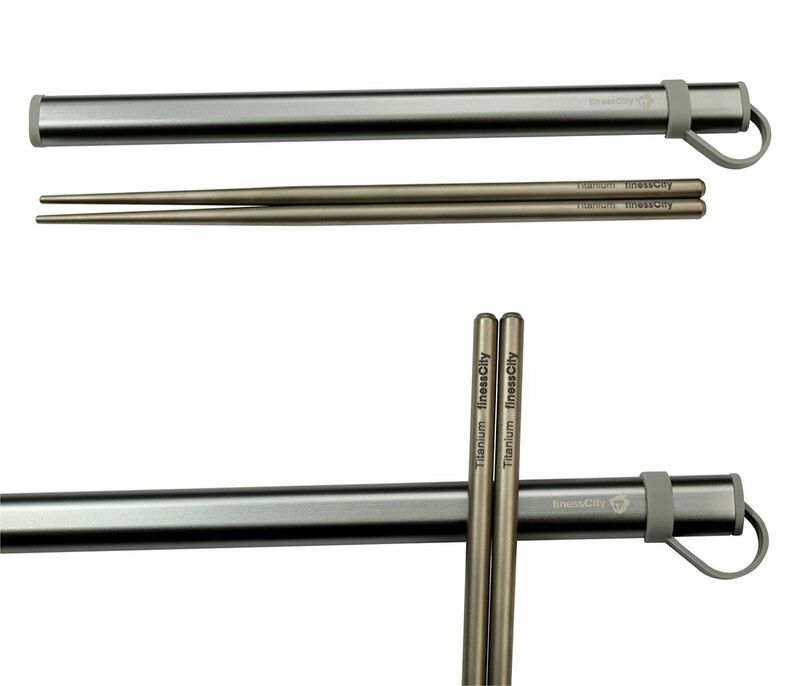 These extra long Japanese stainless ﻿﻿steel chopsticks are ideal for both cooking and eating. It’s added length lets you have a safe distance from your pot when using it to cook. Aside from cooking, it’s also great for eating noodles and pasta. 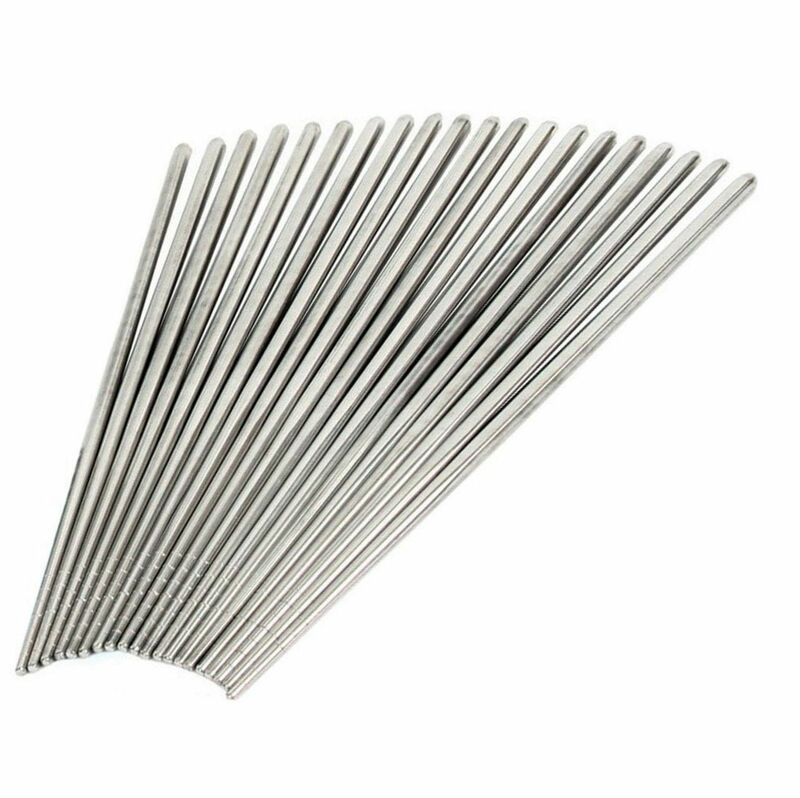 These chopsticks are completely made out of stainless steel, making them very durable and long lasting. They are also able to remain cool to the touch despite being used for cooking since they do not conduct ﻿﻿heat very well. These colorful chopsticks make for a great gift or a nice set that you can use at home. 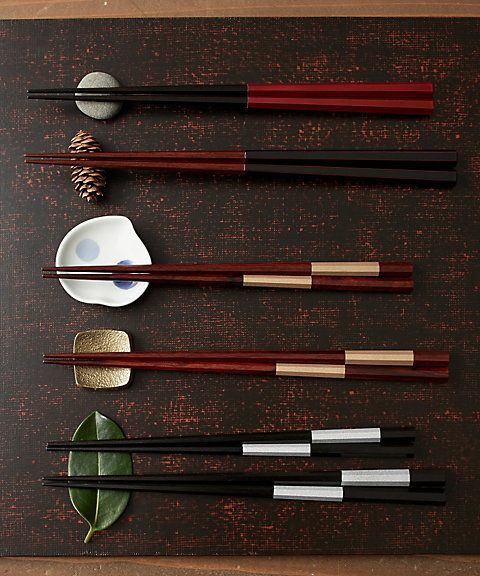 One set can offer you five different colored chopsticks that are made from all-natural wooden materials. These chopsticks come with a square body, which means if you are a beginner, this can be the best choice for you. They are also very light to use and can easily pick up food. Needless to say, these cute-looking chopsticks can become a great addition to your kitchen or can work as a housewarming gift. 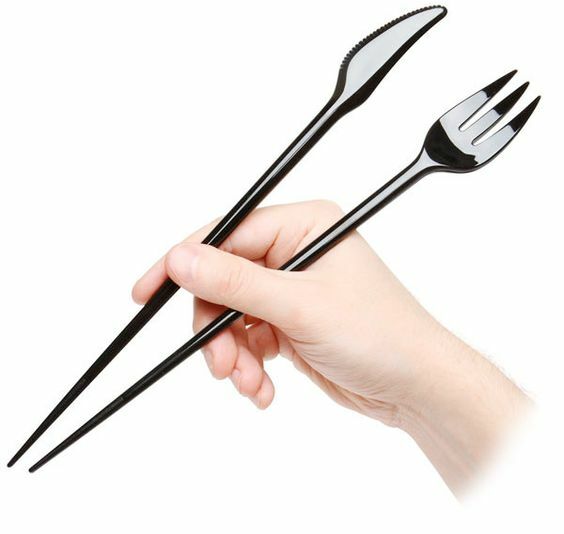 If you are looking for a classy pair of chopsticks, look no more because this one is surely the best for you. The finessCity titanium chopsticks come with a very sleek design that makes it great to pair with any kind of plate. Since these chopsticks are made out of titanium instead of steel, they are very light and easy to use. They even come with a nice aluminum case for easy transport, making them perfect for camping, eating in the car, or for packed lunches. Another great thing about these chopsticks is that they are very easy to clean and maintain. What’s more is that they help reduce your carbon footprint since they are completely reusable. Though these chopsticks may be a tad more expensive than the other ones on this list, it does come with a handy money back guarantee if you ever find yourself unsatisfied with it. 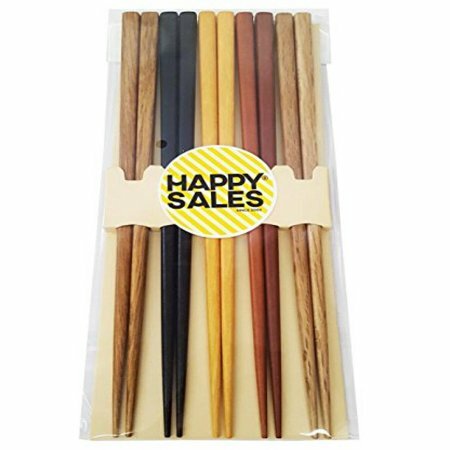 If you are looking for chopsticks that have a classic wooden look, then perhaps the AOOSY Japanese chopstick set is the right choice for you. These chopsticks are all natural and are completely BPA, PVC, and Phthalate free. 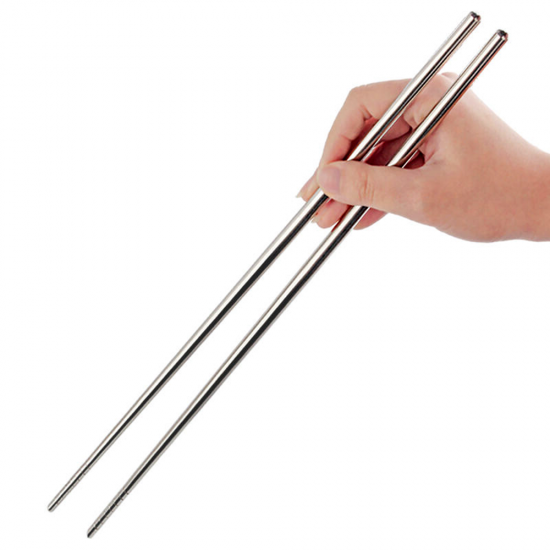 These 9-inch chopsticks have the ideal length for both cooking and eating foods such as meat, vegetables, and rice. 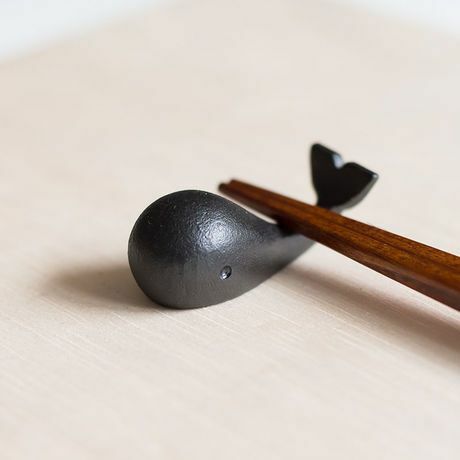 What makes these wooden chopsticks great is that they come with a smooth polished finish that eliminates the porous surface that often comes with wooden chopsticks. This means that they are quite easy to clean just like ones made with metal. Kitchen Art’s Korean Stainless Steel Hollow Non-Slip Chopsticks are a personal favorite of mine. These chopsticks are very affordable and will ultimately let you get your money’s worth. What I like best about these chopsticks is that they are very light since they come with a hollow body. They also have an elegant look because of their stainless steel design. What’s more is that you don’t even have to worry about picking up all sorts of food with these chopsticks since they come with grooves on their ends for added grip. Have you decided which one to get? Those who are not used to chopsticks will find the Kitchen Art Korean stainless Steel Hollow Non-Slip Chopsticks beginner-friendly. It’s not intimidating to use at all. While our preferences differ, MyLifeUNIT Extra Long 14 Inch Japanese Stainless Steel Chopsticks are the best chopsticks that will give you value for the money. They are durable and non-conductors of heat. Get the MyLifeUNIT Extra Long 14 Inch Japanese Stainless Steel Chopsticks if you also plan on using your chopsticks for cooking. Its good conduction properties make this an ideal choice for cooking as well as eating. If you don’t want to spend too much money, the Happy Sales Japanese Bamboo Chopsticks should be right for your needs. This chopstick set is the cheapest and is also easy to use. 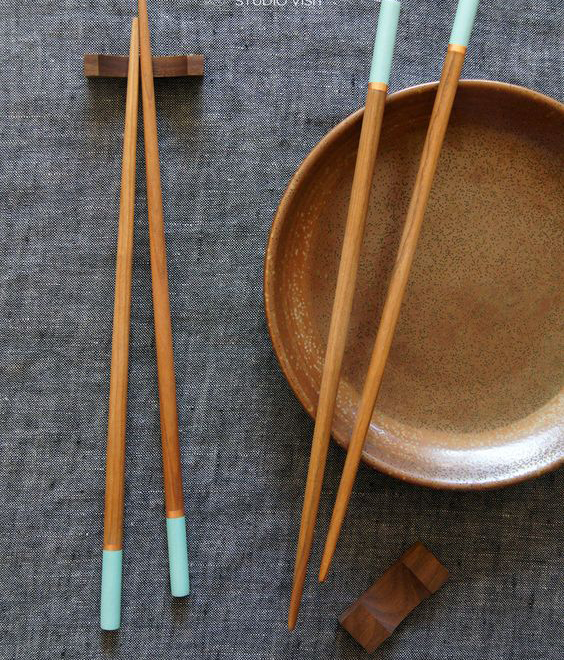 For families, get the AOOSY Japanese Natural Wood Chopstick Set. It’s great for small to medium-sized families. Click the links of the products you are thinking of buying to learn more about their features. For more reviews and recommendations on different kitchen supplies, check out our homepage.